The Air Jordan Project has started out nicely so far, to my surprise, and the Air Jordan I is 100% playable 27 years after their release. 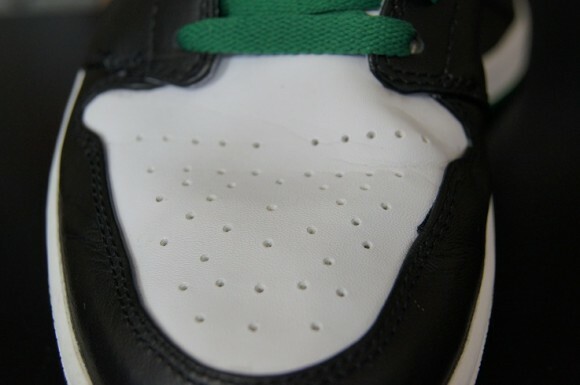 Traction – As you already know from the Performance Teasers, the Air Jordan I has great traction. I still won’t give it a full 10 out of 10 but a solid 9.5 will do. From a front to back standpoint, the traction is incredible. Medial and lateral movements are just as impressive due to the multidirectional circles along with the soft and flexible rubber. This traction surface worked very well on clean indoor courts as well as dusty indoor courts and would probably work well outdoors as well. Cushion – Again, this is something I went over previously and it’s pretty much a no brainer… cushion wasn’t great. In the video review I show an insole that could help but you can use any insole you feel would work best for you and it would be a huge improvement. 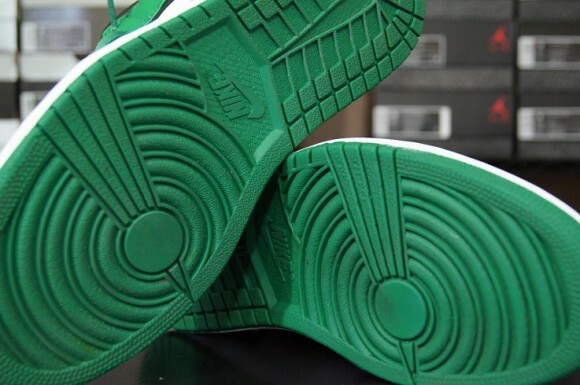 Material – Full leather uppers and a rubber midsole and outsole add some sturdiness as well as weight. They aren’t heavy per say but it is something you do notice while transitioning. The main thing is that the type of leather used allows for added strength and durability which can be a nice feature to have. Fit – The heel offered excellent lockdown as did the midfoot. With more time spent on-court you will start to notice the fit loosening up due to the moisture and heat buildup so with that I did have to readjust the lacing after every game or so. Ventilation – Not much of any but there are perforations featured on the toe as well as a nylon tongue for some ventilation, even if just a little. Support – None… you can purchase an insole with arch support if needed but other than that they are pretty much a flat based sneaker. Overall – These were playable, which is the main thing. 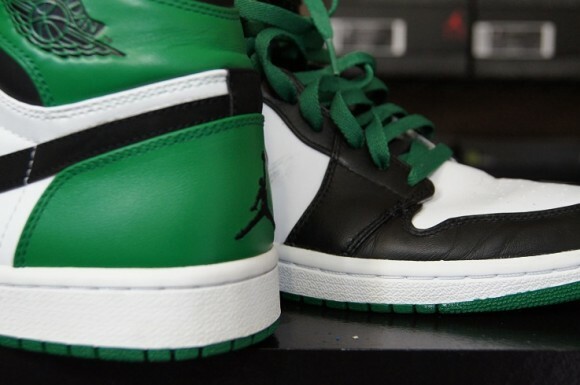 If you wanted the look or styling of an Air Jordan I with modern tech you can either swap the insoles out for cushion or opt to purchase the Air Jordan I Alpha which offers many upgrades in every category, most notably the cushion with its Phylon midsole and full length bottom loaded Zoom Air. 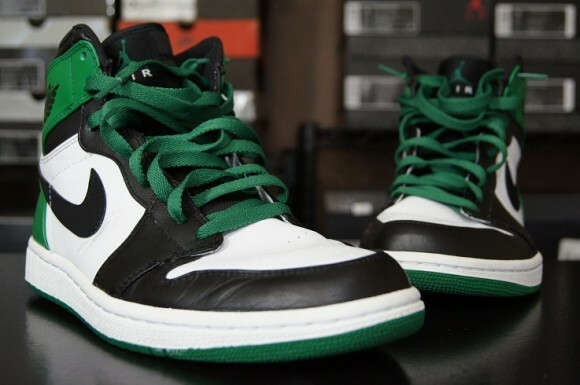 Now… onto the Air Jordan II! These look like street shoes. I think it would be awesome if someone in the NBA wore these shoes in a real game. 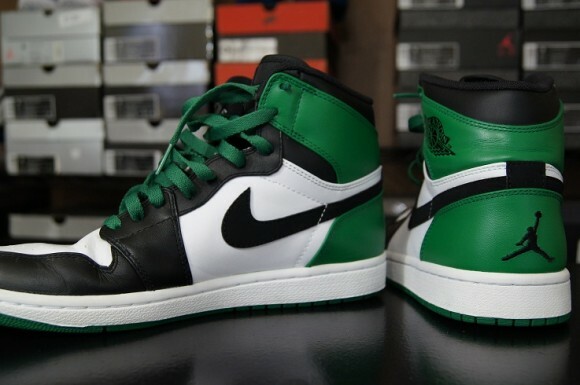 Theyre street shoes now but MJ wore them his entire rookie season. He even wore them against the Knicks back in 97 or 98 i think… When he was retiring from the Bulls the second time. Wow that was fun. Can’t wait for the AJ2. Thank you for taking time and RISK for review these shoes!! Something a bit off-topic, what is your opinion on the kobe vii elite? I need a pair of low top because my kobe vi is giving me nasty blister on my toe….Any recommandation? Well the elite isnt any different from the regular version from what i can see. A fee design changes but no tech changes. I showed an insole for arch support in the video. I know this is an extremely old post, but I have the same foot shape as you – wide in front and narrow in heel – and use Superfeet insoles. They have different sizes and arch heights and you can cut the fronts down to fit most any shoe. They work well in my AJ1s. I’ve always wanted a pair of these shoes. I did watch the review and it was awesome. As other comments have said they do look like street shoes, but there great to wear on the court right? Other than cushion, yes. They were hoop shoes long before street shoes. Found myself playing in my DMP AJ1 Bred’s yesterday (hadn’t planned on playing yesterday)and have to say that I was impressed with how playable the shoe is after all these years. Like NW said – traction is fantastic, fit is decent and despite the midsole lacking any compression or impact protection, I actually liked the court feel it offered. I know it’s a bit weird since ones are everywhere but I just wanted to know. Are these TTS? Can you wear these on court? I feel like everyone would judge your it… It looks like walking shoes.